Gnomes, otherwise known as Nisser (singular Nisse) in Danish and Norwegian or Tomtar (singular Tomte) in Swedish, appear as wizened old men with big, bushy beards wearing tall, red hats. 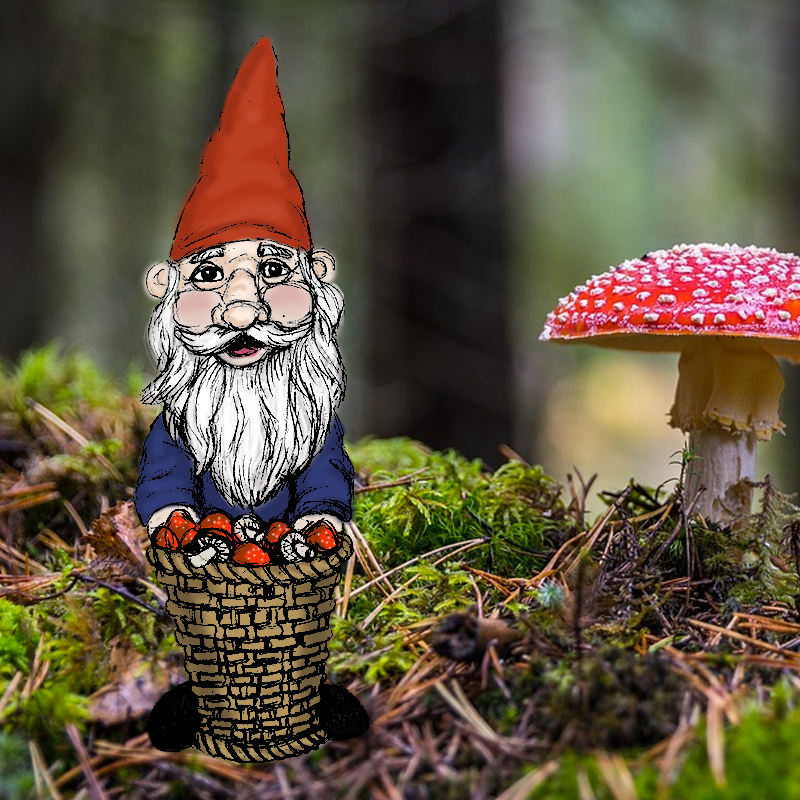 The word gnome itself comes from the Renaissance Latin gnomus, and was coined by Paracelsus for his work Liber de Nymphis, Sylvanis, Pygmaeis, Salamandrix, et Gigantibus, etc., published posthumously in 1566. Paracelsus—a Swiss physician, alchemist, and astrologer--classified gnomes as earth elementals, and almost certainly formed his idea of them based on the stories of the Nisse from his Germanic homeland. Traditionally, Gnomes live underground; Paracelsus said that they are able to move through the earth as a man moves through air. The Nisser and Tomtar, often said to dwell underground in the foundations of old homes and in burial mounds, are helpful house faeries who attach to specific homesteads—some say they're ancestor spirits of ancient family patriarchs, while others believe they're nature spirits attached to the land being inhabited; either way, these faeries are known for bringing more weal than woe, at least as long as they respect those with whom they dwell. Nisser are extremely strong for their size, and use their strength to both help with chores and act as guardians of the homes they place under their protection. It's important to respect the Nisse's wishes and live a good, productive life, as well as generally being polite to the house gnome, or he will become offended and seek retribution that can take the form of anything from minor pranks to ruining the offending party's fortunes completely. Being polite to a Nisse includes such considerations as yelling a warning if one should spill anything in the house, and not urinating anywhere other than the toilet--one never knows where a Nisse might be standing. Nisser love animals in general, but horses specifically; it's said that one can tell which horse in a stable is the Nisse's favorite, since it will always appear the most nourished and well-groomed. Similarly to brownies, a gift of food can go a long way towards improving a Nisse's temperament, and they're said to particularly enjoy a good bowl of porridge topped with butter. So if you happen to attract a Nisse to your home, take extra care to not appear lazy or offensive, and maybe leave some buttered porridge out, just in case, since the last thing you want is an angry faerie with prodigious strength causing a ruckus in your residence.